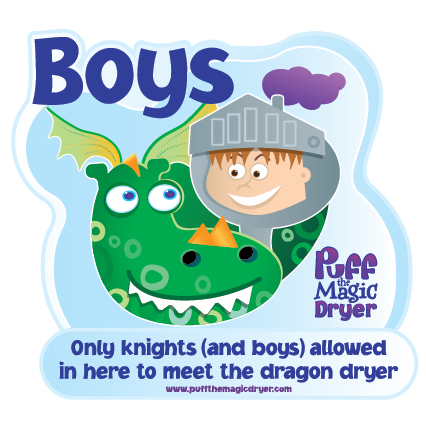 Tomorrow The Magic Dryer Company and Puff the Magic Dryer – the first hand-dyer designed with children in mind, and the first dragon character I’ve ever created – will arrive at the Nuremburg Toy Fair. I’ve just completed a last-minute information sheet. This is one of the toilet door signage stickers I’ve designed for the product. There’s one for girls too!